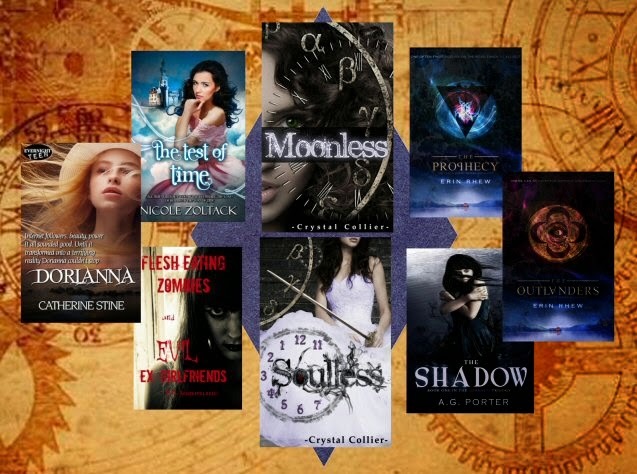 Today I am featuring Crystal Collier for her Soulless blog tour. I was thrilled to be able to sign up, as I loved Moonless (which is FREE today, Nov. 7th! ), and I am happy to bring her first author interview on Write with Fey to all of you. Welcome, Crystal! Please tell us about your current release, Crystal. 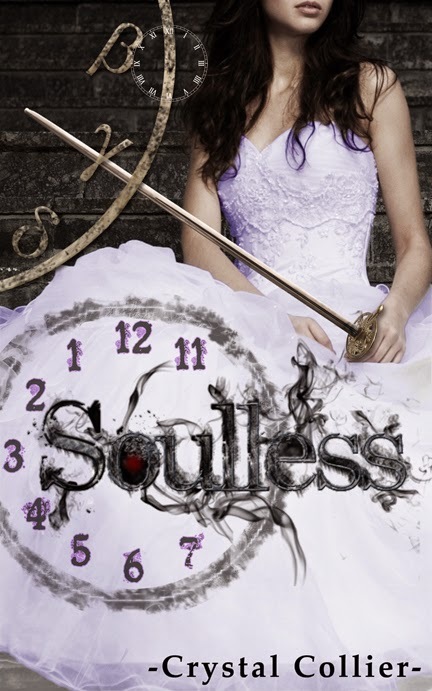 SOULLESS is book 2 in the Maiden of Time trilogy. 1. What books would you compare to SOULLESS? A Great and Terrible Beauty, A Season of Witches, The Clockwork Angel (series), Jane Eyre + Supernatural, The Faerie Ring. Think one part scary, one part romance, one part action, one part history, and one part fantasy. 2. Those are ALL great books! How did you pick the title for your book? During Pitch Wars 2012, I was blessed with the most wonderful writing coach (and marketing guru), Sharon Johnston, who caught the vision of where I’m going with my series. We tossed back and forth several potential titles, but when she threw out the progression of MOONLESS followed by two other titles ending in “less,” we knew we had gold. Soulless not only represents the moral dilemma Alexia faces, but is the name of the predators who threaten everything Alexia holds dear. 3. I think the titles ending with "less" was a brilliant idea! If your book had a soundtrack, give us a list of a few songs that would be on it. 4. What would women find irresistible about your hero? Kiren is mysterious, brooding, hopelessly romantic and self-sacrificing. He’s tortured but compassionate and extremely moral. Oh, and let’s not forget those tantalizing blue eyes. 5. I know I find Kiren irresistible! What would we find in your heroine’s purse if we went snooping? Alexia doesn’t carry a purse, but if she did you might find her favorite book hiding in there, along with a tattered calling card (once bestowed upon her father by Kiren), a hairpin that belonged to her long-dead mother, and a time-box (often mistaken for a puzzle box). 6. How old were you when you read your fantasy book? What was it? The Windrose Chronicles (Aka The Dark Mage) series by Barbara Hambly… I’d actually read a TON before this, but in 7th grade this was my first 700+ page book, which was actually 3 books smashed together. (And my first adult novel.) It made a lasting impression and is a story I love to this day. I wrote a musical called IMMORTAL. My nickname in high school was Chicken, and it was totally cool. I’m more comfortable in front of an audience of thousands than one on one. Thank you for telling us about your much-anticipated sequel to Moonless, Crystal. I hope to read Soulless soon! Please leave Crystal a comment, and show your love for this awesome trilogy! Oh, and don't forget to enter the awesome giveaway! The 'less' in the titles was a great idea. Like the 'Cass' in mine - it connects them. I agree! Both of your ideas for your titles was brilliant! Totally. It's great to have a connection throughout the entire series, eh? I agree about the -less of the titles. It makes it easy for people to recognize that the stories go together. Really? More comfortable with thousands than one on one??? Wow. I know. It's weird, right? But I guess it's the fact that no one will talk back when you're facing a crowd. It's all about what you've prepared to say or share. There comes a point where you choose to embrace the strange in your life, or let it control you. We've all got to make that decision. Aw. Thanks, so much both of you. love seeing Crystal here, and love the 'less' idea! also, chicken. haha. I never had a cool nickname in school! I'm always in love with that cover when I see it. I love it too, Vanessa. My graphic artist is a genius, right? I just love that you wrote a musical, Crystal! I would love to do that someday. From henceforth, I shall call you Chicken. I'm not going to pass up an opportunity like that. Congratulations on your release, and good luck with sales! I also love the idea of coming up with titles based on the -less suffix. Thanks for leaving Crystal a comment! Great interview and I'm sure the book will be successful. That is a great way to title a series on this topic! Oh yes, the 'less is definitely more! Not to mention these gorgeous covers---they're some of my favorites out there. Congrats to Crystal! It's been great to see her all over the web! Congrats Crystal! I'm the opposite. I do better in smaller groups than big ones. I do better in small groups or one-on-one, too. The title is really great. Thanks for sharing the source of inspiration. Thanks for stopping by, Lady Lilith!